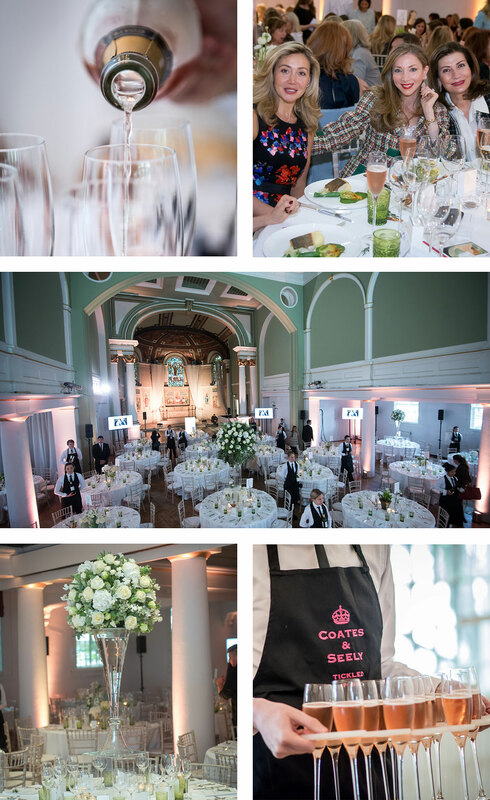 Amidst an ocean of female glamour, comprising 350 stunning ladies from around the world, our eponymous co-founder (the Coates, not the Seely) appeared as one of only two male guests, a somewhat lonely canoe without his paddle. What this meagre vessel lacked in glamour was happily compensated for by the sparkling Coates & Seely Rose wine, served before lunch and a perfect complement to so many glamorous ladies. With an effulgent Tania Bryer brilliantly compering the event, over £225,000 was raised for Cancer Research.